Greece, a country in southeastern Europe, consists of 2 peninsulas and thousands of islands. 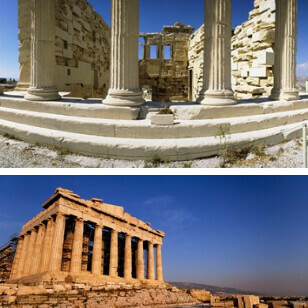 Also known as the birthplace of Western civilization and Athens, its capital has landmarks that are ancient. Greece is known for its beautiful beaches as well. 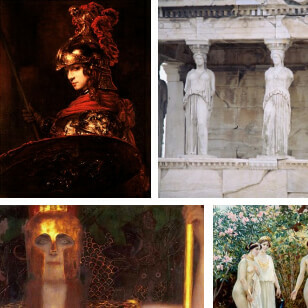 All of these unique characteristics of Greece are displayed in Greek artwork. 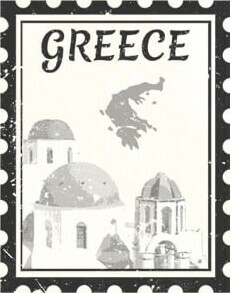 Show your love for this country's sites and culture by decorating your home with Greece art prints. The Parthenon is a former temple on Athenian Acropolis. This temple was dedicated to Athena, which the people of Athens considered her to be their patron. 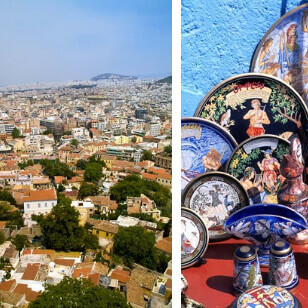 Athens is the capital of modern Greece and it has been the center of Greek civilization for about 4,000 years. Athens today still has ancient landmarks. 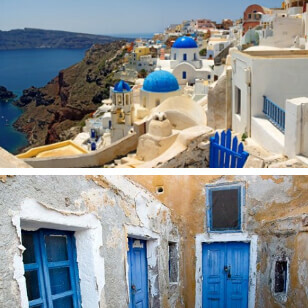 Santorini, an island in the southern Aegean Sea, is about 120 miles southeast of the main land in Greece. This island is also known as Thera in English. Greek and Roman art prints celebrate the beauty of human physique as well as Rome's famous Colosseum and other buildings. 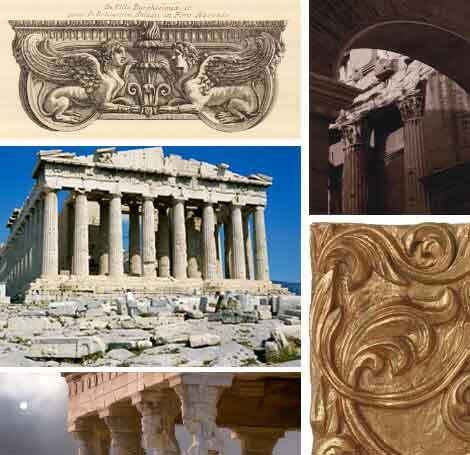 Greek and Roman art bring a sophisticated feel when added to your space. 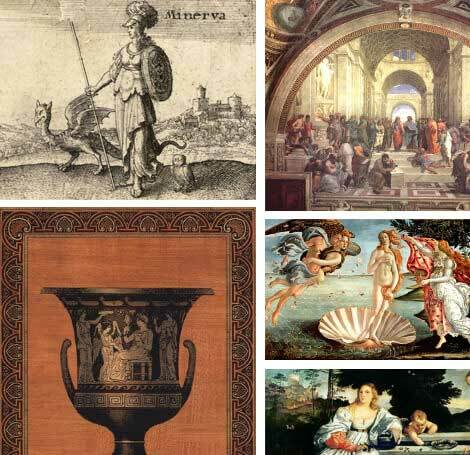 Roman and Greek artwork has influenced thousands of artists. This includes architects and sculptors also. Ancient Roman and Greek architecture influenced each other in many ways. There are some newer technologies like the dome and arch that have created a new architecture style. In art, Greek and Roman architecture shows the unique hand carvings and known statues which classify as Greek architecture as well. Cytherea, also known as Aphrodite, is a Greek Goddess that represents love, pleasure and beauty. 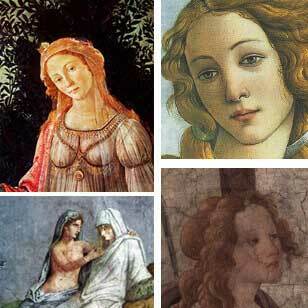 Her equivalent in Roman mythology is Venus. She is known to be the daughter of God Zeus and Goddess Dione. Aphrodite is still a popular subject in painting art. 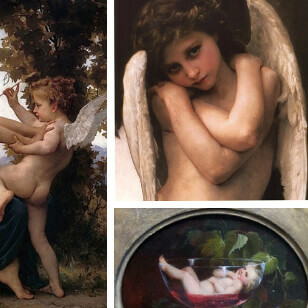 In mythology, Cupid (or Eros) is a God that is known for love, desire and affection. Cupid is often shown as a young boy with wings holding a bow and arrow. Cupid was a popular figure during the Middle Ages, he was seen as a symbol of love in the Christian religion. Athena was the goddess of wisdom and justice who was known for her calm temperament. She was the patron of Athens, thus the origin of her name. She was highly revered and was the subject for many sculptors and painters.